After a rain-soaked, chilly and sleepy Sundown Marathon, the month of June and early July are gonna be a busy one for some of the Freaks !! There will be 3 major marathons coming up in the next 5 weeks and the FREAKS are gonna be involved !! First up is the Phuket Marathon. Happening on 10th June 2012, there are gonna be at least 2 Freedom Freaks members who are gonna take part in the event. As of now, Sam E and Sanae are the ones going to do the Full Marathon event. Two weeks after that, the next event will be happening at Kuala Lumpur. 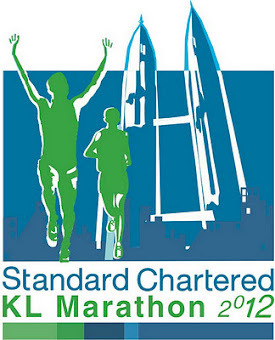 One of the major running events in KL is the Standard Chartered KL Marathon 2012. This is gonna be the 1st time that Freedom Freaks are joining an event out of Singapore. And there are gonna be many of us joining the event. Be it 10km, 21km or the Full Marathon run !!! We even created an event list on Facebook. Next up is the Gold Coast Marathon. Gold Coast is one of the world's most popular holiday destinations known for its sunshine, golden surf beaches, beautiful broadwater and exciting theme parks for all budgets. All the best to those joining these events. And also not forgetting those who are running in races locally, do be safe and all the best ! !